From Justin Brierley’s “Unbelievable” podcast. Stephen Meyer is a leading proponent of Intelligent Design who directs the Centre for Science and Culture at the Discovery Institute in Seattle. His [first] book “Signature in the Cell” claims to show that the DNA code is the product of intelligent mind, not naturalistic processes. Keith Fox is Professor of Biochemistry at Southampton University. He chairs the UK Christians in Science network but disagrees strongly with ID. They debate how life could have originated and whether design is allowed as an explanation in science. the DNA enigma: where did the information in DNA come from? maybe the first living cell created itself, X brought X into being, self-creation, what’s irrational about that? the issue is the origin of life – where did the first living cell come from? 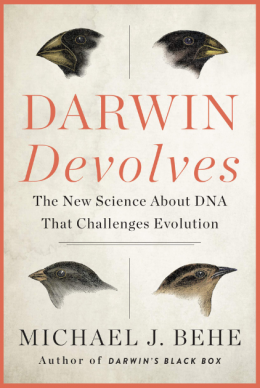 the argument I am making is – where does the evolution come from? it just has to be that way!!!! well, what luck would you have explaining an effect like Mt. Rushmore? can you explain that using matter,time and chance? So you are saying that we don’t understand and therefore an intelligence is necessary? we infer to mind in many other scientific disciplines, like cryptography, archaeology, etc. Moderator: Keith are you confident that naturalism will be able to substantiate these naturalism-of-the-gap speculations that you offer in response to Meyer’s actual science that we have today? where are those material processes that could account for this fluke then? There is a bit more where Meyer talks about how parts of the cell are implementations of various design patterns (Gang of Four design patterns) that are used by software architects who design software. Find more posts on Stephen C. Meyer here. Stephen Meyer is a leading proponent of Intelligent Design who directs the Centre for Science and Culture at the Discovery Institute in Seattle. His most recent book “Signature in the Cell” claims to show that the DNA code is the product of intelligent mind, not naturalistic processes. Keith Fox is Professor of Biochemistry at Southampton University. He chairs the UK Christians in Science network but disagrees strongly with ID. They debate how life could have originated and whether design is allowed as an explanation in science.